Home / Blog / Camino FAQ: how does your support number work? 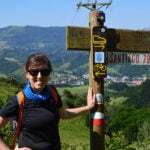 Camino FAQ: how does your support number work? 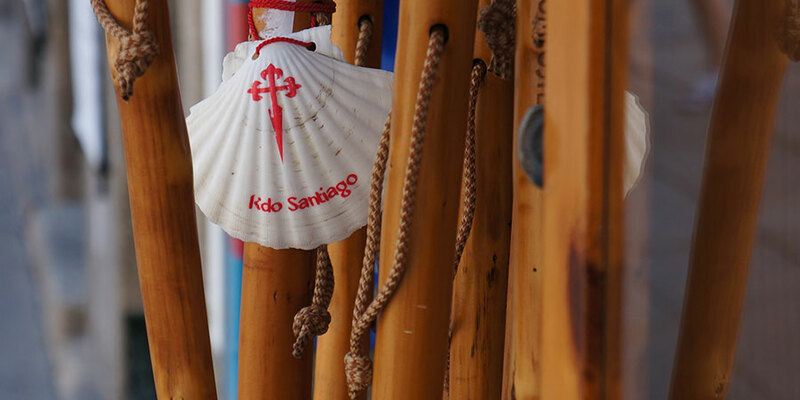 As part of our Camino de Santiago tours we offer a support number (also referred to as emergency number), provided with your holiday pack (generally printed on your luggage tags and general information document). This number should be used during your trip if you encounter any difficulties. It is designed to give you peace of mind and help with any possible issues arising with your booking during the trip. This is the best way to get in contact with the team if you need support while you are on your Camino trip (please note that emails and social media are only regularly checked during office hours and therefore your query might not be seen immediately). Once you have confirmed your booking with the Customer Care team, our Reservations team makes sure all your hotels, luggage transfers and other services are booked for your trip. The Reservations team at CaminoWays.com is a talented multi-lingual bunch, speaking many different languages between them, including Spanish, French, Portuguese, Italian, Galego, Catalan… as well as English. The team is also in charge of our 24/7 support number (also known as emergency number). One member of the Reservations team is on ’emergency’ duty each week, including out of office hours and weekends. If any problem arises during your trip, they will be able to assist. If the support number is engaged, please leave a voice message (with your name and booking reference) and our Reservations team will get back to you as soon as possible. There are a number of reasons the number could be engaged: the person in charge of support calls might be busy with another call, for instance. General enquiries and changes before the trip should be addressed to the Customer Care team (info@caminoways.com). Airport transfers: If your plane is delayed and have booked an airport transfer, always contact the support number, so your transfer can be re-scheduled. If your transfer is delayed (give yourself 20-30 minutes) contact the team to let them know. Please note small delays can occur due to unexpected traffic. Hotels/booking: If you have a specific problem regarding your accommodation (the room doesn’t match your booking; there are important issues with your room or the hotel receptionist doesn’t recognise your booking reference, for instance), we recommend you also get in touch as soon as possible, so any possible issues can be solved and we can help you enjoy your trip. Urgent booking changes during the trip: If you need to do a last minute, urgent change to your booking while on your trip due to unexpected circumstances (such as injuries), you should also contact our support number. They will be able to recommend a solution or alternatives, taking into account your specific booking. General advice related to your booking: If your route notes or hotel information need to be resent, for instance. Cycling: While we can’t provide on the ground assistance, if you need to find your nearest bike shop for repairs for instance, our team will find it for you. Airlines: Flight delays, lost luggage and other issues arising with your flight will need to be addressed directly with the airline. There isn’t much we can do about that, unless you are having trouble communicating with the airline representative and then our team might be able to help you with translation. Route directions: We provide you with route notes and maps and/or guidebooks for all self-guided tours to help you navigate the route. Specific questions regarding directions while you are on the route will be difficult to answer from our office in Dublin. Transport timetables: Our website includes an access information tab for each of the tours, with links to relevant bus/train companies operating in the area, as well as guidelines on how to get to your starting point and back from the finishing point. We recommend you check this information before you travel, if you haven’t booked airport transfers. Your hotel receptionist might also be able to assist with specific local travel information. Itinerary changes: If requesting a change to an itinerary that it’s not urgent; the best way is to address it to our Customer Care team so they can organise changes during office hours (info@caminoways.com). Guides: If you are travelling as part of a Camino guided tour, your guide will be able to assist you during the trip so you shouldn’t need to contact the support number directly. We recommend you download and print your holiday pack before your trip as this contains important information related to luggage transfers and other services, as well as contact details for hotels and other services, and our support number. Dear Angela, thank you for getting in touch. Don’t worry, our Customer Care team will look into it and get in touch directly to solve it. Kind regards.